The OpenBSD folks have made pre-orders available for SSH Mastery. I’m giving the books to the OpenBSD Project at cost, and they’re selling them at list as a fund-raiser. 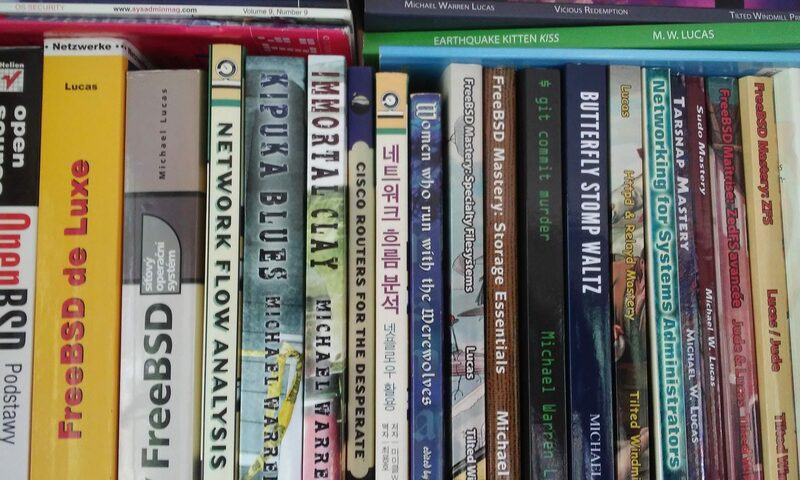 I make nothing on books ordered through OpenBSD, but the money will go to further OpenBSD, OpenSSH, PF, and who knows what else. I’m going to imagine that the money will support the annual developer barbeque, as buying beer is more fun than buying hardware. I will make a decent profit on books sold through Amazon, Barnes & Noble, and brick-and-mortar stores. (Yes, I can get books into brick-and-mortar stores, with a bit of luck, a smidgeon of effort, and just a few ounces of blackmail.) I figure it’ll even out; the general public will order from Amazon. When will the books arrive? Once the proofs are approved, I’ll order the OpenBSD books before I approve sale through Amazon. I don’t know when that is yet, but believe me, I want this book out there. So, if I make nothing on this, why do it? It’s a good way to support a widely-used project that has written software that makes my job easier. So order yours now! Plus, I write about open-source software projects, preferably BSD-based ones. This means that I have to maintain good relationships with those projects. Not only am I a geek, I work at home. My usual social interactions consist of ignoring the threatening emails from the boss, the pet rats asking for treats, and the nagging phone calls from the social worker asking if I’ve taken my meds today. As you might guess, maintaining good relationships is not my strong point. If you have trouble keeping friends, try bribery. I hear it works a treat. I just ordered it on OpenBSD website. What’s about your new book “Absolute OpenBSD” ? I believe the link you want to be linking to is: https://https.openbsd.org/cgi-bin/order?B09=1&B09%2b=Add. You might want to let Austin know as well so he can fix http://www.openbsd.org/books.html. Otherwise, the book isn’t getting auto added to your cart like it should be.